Incredible quality construction, attention to detail & efficient space planning! 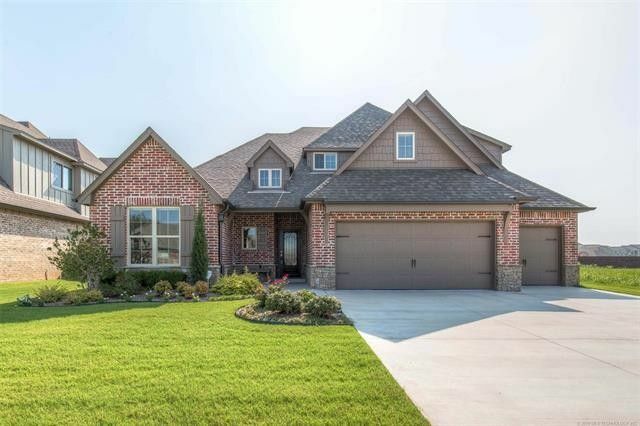 Hand scraped distressed hardwoods and beams in multiple rooms, Huge kitchen island with beautiful granite and matching granite throughout the entire house. Large lot! Directions: From Memorial and 121st St S, west on 121st St, south on E 126th St S, west on E. 124th Place south, south on 73rd East pl, home is on the right.